A beginner or intermediate student has a generous selection of reasonably priced, quality violas to choose from. In deciding on the correct one for you, there are a number of characteristics to consider, as well as one’s own personal preference. One viola may appeal to a particular student, while the same may not satisfy another. I am an intermediate viola student, having started lessons in grammar school, quit in high school, and resumed as an adult. I have played solos in recitals and have been in an orchestra and smaller ensembles. I have extensively researched the various viola brands and have spoken with a viola teacher and other players. I have considered numerous brands. All those I recommend have strong points and a few drawbacks. I have extensively researched the various viola brands and have spoken with a viola teacher and other players. I have considered numerous brands. All those I recommend have strong points and a few drawbacks. One size does not fit all, figuratively and literally. 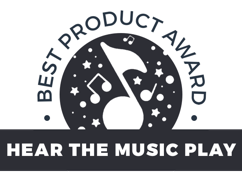 We have chosen the top recommended brands and mentioned other high quality items, but first we have to cover important information on the instrument. To save money, it is recommended that the complete outfit be purchased, since the individual items could add up to substantially more. Another money saver, of course, is to purchase a used viola from a shop. They are often purchased in bulk and the store wants to sell them quickly. The price may be negotiable. Violas tend to keep their value over the years. You can trade them in for a better quality item or a bigger size. 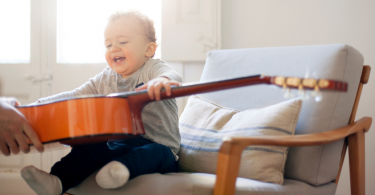 Before deciding to buy, a new student or parent of a student should consider whether purchasing or renting the instrument is best. I believe buying is best. A rental may run you $25 a month from a local music store. The store may tack on an insurance fee which covers damage to the instrument, which would not include minor things like broken strings. The advantage to renting is that you can turn it back in if the student wants to stop or it is damaged. Another advantage is that the monthly rental fees may be applied as credit towards purchase of this or another instrument. As an example, if you rent for a year at $25 a month and pay $5 a month for insurance, you will pay $360 which will be applied to a purchase of a viola of equal or greater value. However, if the student quits, the $360 is gone. If you rent for a year and decide to buy, you will have either a good down payment or the total purchase price, plus a protection plan. • The student: Is he or she experimenting with different instruments? • The student: is he or she sure to continue? • The Parents: Do they want ownership? If you rent to purchase, the value may deplete a little due to wear and tear, but it can be traded in for a higher value, better quality instrument. And student violas can be found for as little as $200. Other important factors to consider when choosing your instrument are size, tone, response, projection, and quality of the instrument. Finding the right size is extremely important.The viola’s size in the old days was always very large. 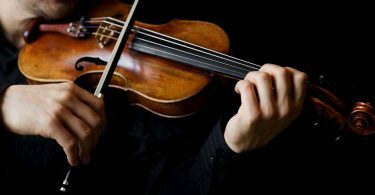 Violists often found it difficult to play and it created health issues. 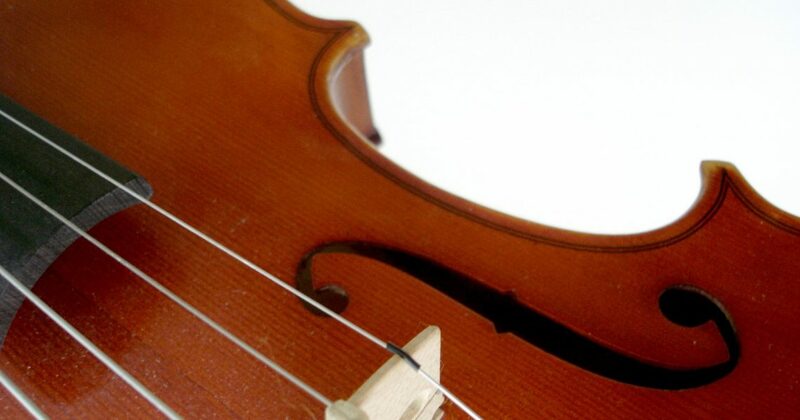 It was thought that big violas provided bigger sounds, but modern instruments are now constructed so that sound is projected better, which means the viola can be heard in an orchestra. An adult usually chooses a model that is 15.5” to 16.5”. Young students can find sizes down to 12”. The size is determined by measuring the viola body down the back not including the neck. The height and arm length of the student should not be measured, although violin and viola teacher Halina Listopad of New York recommends that the elbow should be bent somewhat. 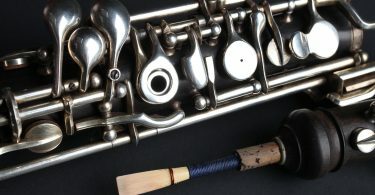 Anyone thinking of purchasing an instrument should always try it out first, whether in a shop or, if an online purchase, have it sent on approval. Always try it with the shoulder and chin rests to determine how comfortable it feels. Comfort is crucial because you will be using it a lot. This is a matter of construction as well as personal preference. You can test it out in the store or at home. The sound should be dark and rich. Violas built with European wood have a more mellow tone, while American and Chinese instruments that use cheaper woods have a brighter tone. When trying out the viola, the student should enlist his teacher as listener. Let the teacher try it also. Play fast and slow, try some scales, and use different bows. Have someone listen from across the room to judge the projection of the sound. Being heard in an orchestra is important. The same size violas will differ in sound and tone because of variations in construction. A beginner viola outfit may run as low as $100. A professional may pay $250,000. It depends on many things. But construction is key. 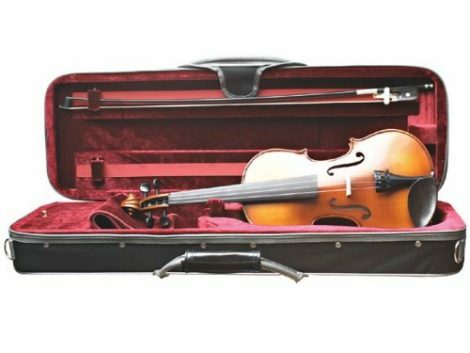 Many beginner or student violas are mass-produced in factories to lower costs, but retain the tone. The mass-produced violas have to be examined very closely. 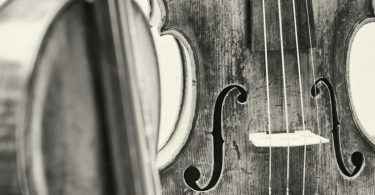 Laurie Niles of The Violinist gives this advice: “Having a cheap violin (or viola) will make an already difficult skill even more difficult to learn and will cause persistent frustration in your practice. Your violin will refuse to be in tune, the angle and placement of strings will be off, the tone of the instrument will be squeaky and unappealing, the tuners will likely bend and break. The fingerboards on a quality viola are usually made of ebony, a extremely durable wood which is black. Cheaper violins or violas may have a cheaper wood, painted black which might warp. And the viola may rattle and squeak because of this. 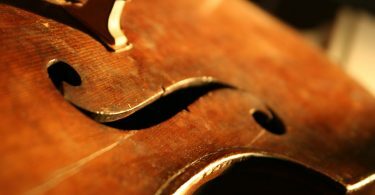 Shar Music, a large string instrument dealer, says, “We encourage parents to avoid the temptation to buy a cheap internet-auction viola outfit commonly known as a “VSO”…VSOs look like violas but a very high percentage are virtually unplayable due to innumerable structural and set-up problems. One thing to look at is the underside of the fingerboard. Quality fingerboards are made of ebony which is all black. You may see patches of brown on the underside which indicates that the fingerboard was painted black. The cheaper wood used is less sturdy than ebony and wears poorly in comparison. The cheaper woods can warp more easily and can cause squeaking and rattling. Woods used in construction of string instruments include maple, spruce, ebony,boxwood, willow and rosewood.The top side of the viola (also called the front) affects the sound the most, so the quality of the spruce is very important. It is light weight but strong and flexible. Maple is used on the bottom, scroll and sides, ebony for the pegs, tailpiece and end pin as well as the fingerboard. It is the strongest of the woods. European maple is considered the best if it is cut well and properly aged. Many viola craftsmen (luthiers) now use maple from the US which is cheaper. It has a brighter sound, whereas the European maple produces a sweeter and warmer tone. An expert can tell you where the wood is from by just looking at it. Another indication of quality is the “flame” or “tiger stripe”. This is the pattern of the wood tones on the back, sides and scroll. It is alternating light and dark tones of the wood. When cut, it creates an optical illusion of light and dark flames. It is an indication of higher quality and has an effect on the price. Beauty is prized in a string instrument and is sought after. 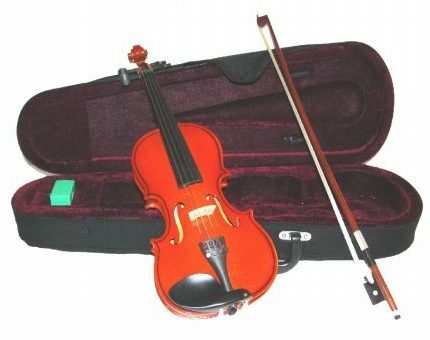 Many reasonably priced student level violas have no flame and is not necessary. Before providing the the recommendations for the best violas, please take a minute to read these interesting viewpoints from Quora. The writers, all violists, discuss value and branding. There is no “best” viola, so having done much research I will recommend a few widely regarded as having quality at a reasonable price. These are not in ranking order. The Yamaha is hand made in China with the best woods, solid spruce, maple and ebony. It has 4 fine tuners, a brazilwood bow, and comes in assorted sizes. The quality woods used give it a higher quality for the price. Available in sizes from 13 to 16.5”. Merano violas are not as high quality but sufficient to find out whether the student would like to continue studying. The fingerboard is made of hardwood, not ebony which is sturdier. It also does not keep a resale value as well as others, but it plays well. Sizes are 15 to 15.5”. 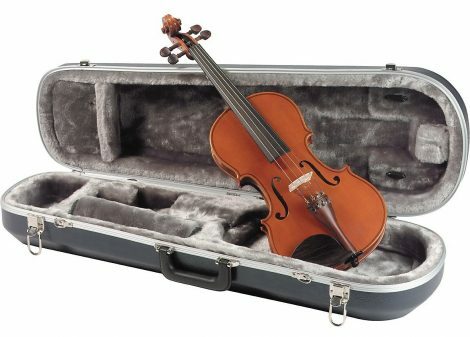 It comes with a case, bow, extra strings, a tuner, extra bridge, and even a music stand. Primavera violas come in beginner and intermediate versions. The Primaveras come in many sizes, from 16” down to 12.” They come in two versions. The Primavera 100 has an “ebonized” fingerboard while the 200 model has real ebony. The case is styrofoam, which is not as sturdy as others, but should protect the instrument from the weather, but not from children banging it around. Before purchasing a viola for a beginner, the best plan is to do your research. Consult with teachers, other players, shop owners, luthiers, and online experts. Be sure to try it out before you buy.